Washington Sen. Patty Murray has a reputation for being able to make deals with Republicans. Five minutes after Arizona Sen. John McCain gave a thumbs-down, killing the Republican health care bill and saving the signature achievement of the man who beat him for the presidency in 2008, Tennessee Republican Sen. Lamar Alexander walked up to Washington Democratic Sen. Patty Murray at her desk. After months of increasingly complicated and convoluted Republican attempts to repeal and replace the Affordable Care Act, aka Obamacare, Alexander told Murray he wanted Democrats and Republicans to start talking. Start working together. Last week, the Republicans' more grandiose repeal-and-replace plans had been whittled to the so-called "skinny repeal" — a proposal that did little else but remove the Affordable Care Act's individual mandate. The rule requiring all Americans to buy health insurance or face a fine is unpopular, but it's a critical support beam — without it, experts predict the entire individual market would collapse. That's exactly what happened in Washington state back in 1995. So last Thursday night, with Democrats united against the GOP proposal, the future of health care was hanging on the decisions of three Republican senators willing to buck their party. Murray says she knew the vote was going to be close. "[They] just poured their hearts out about their own panic and fear," she tells the Inlander today. "I carried the weight of the hundreds and hundreds of those stories on my back in those final moments." For Murray, the failure of the Republican plan was simply a relief. "When we got the vote and it went down, all I could think of was: People could get a night's sleep," Murray says. The moment seemed to mark the end of the Senate's attempts to pass major health care reform legislation. But for Murray and Alexander, it was just the beginning of something new. With insurance markets in some counties ailing — or gone — and President Donald Trump threatening to sabotage the health care system, Murray and Alexander are pursuing a new path: Compromise. 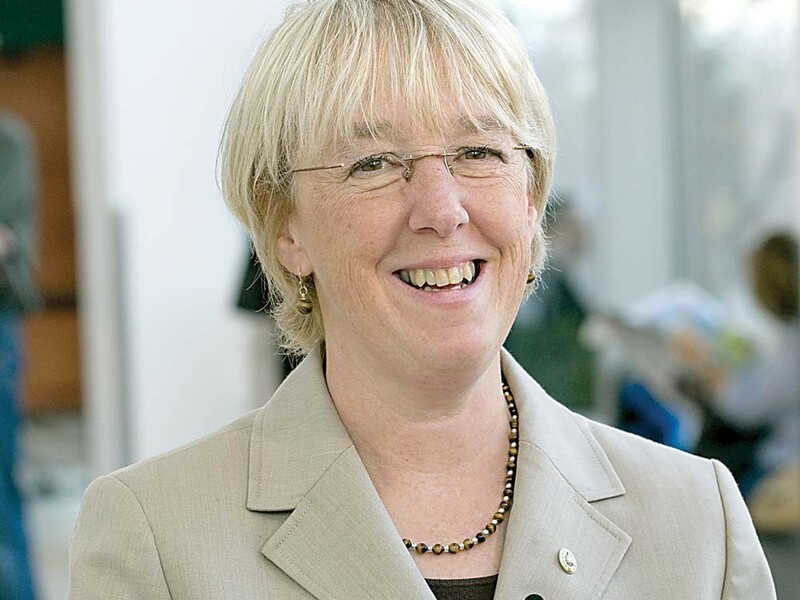 And almost no one in Congress is better at brokering compromise than Patty Murray. In fact, in the weeks before the Republican health care bill died its final death last week, Murray had already been talking with the GOP behind the scenes. Alexander, a Republican who once rejected a leadership post to pursue compromise, is chair of the Health, Education, Labor and Pensions Committee. Murray is the committee's ranking member. And she's been able to cut deals with Alexander before. The two famously managed to put together a bill to replace the second Bush administration's widely scorned "No Child Left Behind" education policy. Both Alexander and Murray, despite their ideological differences, have reputations of being pragmatists. "We work well together on difficult issues, including fixing No Child Left Behind and the 21st Century Cures bill, and tomorrow we're going to pass a complicated bill to fund the Food and Drug Administration," Alexander said in a statement to the Inlander. As the chances of the Republicans passing a bill on their own began to fade, Alexander began talking with Murray. In the past, Murray has managed to compromise with legislators even more conservative than Alexander. The liberal senator was able to sit down with Republican Rep. Paul Ryan —now Speaker of the House — and hammer out a budget compromise in 2013. In his speech calling for a return to bipartisanship last week, McCain called for Alexander and Murray, specifically, to seek a deal. "Let the Health, Education, Labor and Pensions Committee under Chairman Alexander and Ranking Member Murray hold hearings, try to report a bill out of committee with contributions from both sides," McCain said in a Senate floor speech last week. "Then bring it to the floor for amendment and debate, and see if we can pass something that will be imperfect, full of compromises, and not very pleasing to implacable partisans on either side, but that might provide workable solutions to problems Americans are struggling with today." Even before the failed health care vote, Alexander had publicly committed to holding health care hearings to stabilize the individual market. But after the Republican plan failed, a clearer path began to emerge. Alexander and Murray have had several major discussions about the path forward, Murray says. And yesterday, they announced a plan: Starting on the week of Sept. 4, they will hold health care committee hearings to "stabilize and strengthen the individual health insurance market so that Americans will be able to buy insurance at affordable prices in the year 2018." "We will hear from state insurance commissioners, patients, governors, health care experts and insurance companies," their joint press release says. Murray says she wants to listen first, before proposing legislation. President Trump has explicitly called to let Obamacare fail, arguing that Republicans would be in a better position to negotiate from the health care ashes. Meanwhile, some Democratic activists have pushed for the party to copy Republican Senate Majority Leader Mitch McConnell's famous anti-Obama strategy: Obstruct whenever possible, denying Trump and the GOP any sense of accomplishment. But Murray and Alexander aren't in either of those camps. While she doesn't name specific names, Murray says plenty of other Republicans have expressed willingness to come to the table. "I can't tell you how many conversations I have had over the last several weeks, from Republican and Democratic senators who have come to me and said, 'Let's work together," Murray says. "That's the beginning point of, I think, a breath of fresh air that allows us to move forward, to listen to each other, to find a path forward." Unsurprisingly, Murray speaks highly of the impact of Obamacare. She praises its ban against discriminating against patients with pre-existing conditions, and the big decrease in the number of the uninsured. "What we have is people getting better insurance," Murray says. "Better coverage. Better access." But she's also aware that there are serious issues with the health care system right now. Earlier this year, news hit that two Washington counties, including Grays Harbor, the "sickest county" in the state— wouldn't have any insurer offering insurance on the individual market. Washington's state insurance commissioner, Mike Kreidler, successfully scrambled to find insurers willing to cover those counties, but other states haven't been so lucky. According to the Kaiser Family Foundation, 19 counties are expected to lack an Obamacare insurer next year, and 147 counties are expected to lack the more robust Medicare Advantage plans. Alexander's state, Tennessee, is among the states with a particularly rocky individual market. "What we need to focus on is the instabilities in the markets today," Murray says. "We have some counties where no insurance companies are willing to offer insurance today, or where costs have gone up considerably, because there is no competition in those counties." Murray says there are plenty of arguments about why. One major cause, she says, is that the uncertainty over the future of health care has made insurers nervous. However, even before the election, some insurance markets were struggling. “Through 2016, we have lost more than $100 million," Blue Cross and Blue Shield of Kansas City chief executive Danette Wilson said in May. "This is unsustainable for our company." Murray points to the uncertainty about the causes for why some health care markets have been struggling. 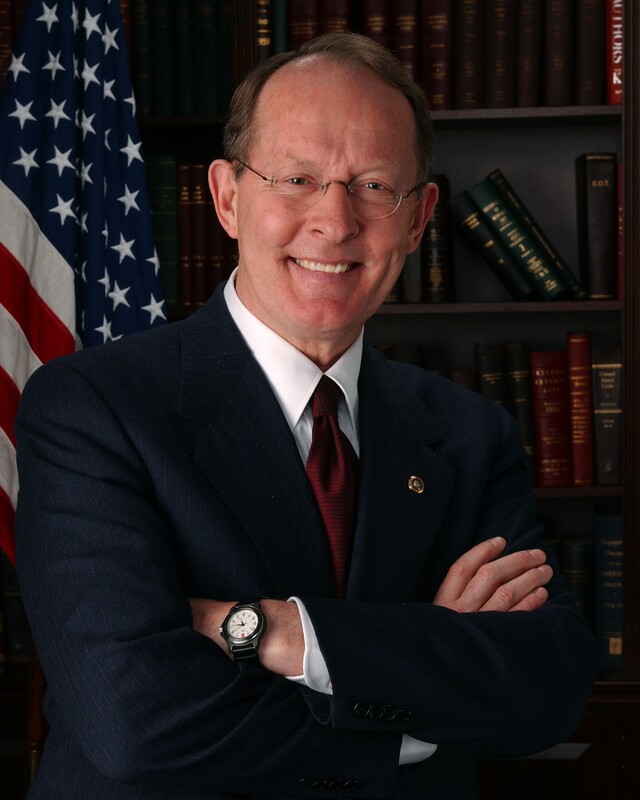 "That's exactly why Lamar Alexander and I are not starting with, 'Here's our legislation," Murray says. "But rather starting with "Here are our hearings," so we don't draft legislation or push legislation that doesn't address the real problems." Alexander and Murray may face a more immediate challenge, however. Trump is considering outright sabotaging Obamacare. He's been threatening to not fund "cost-sharing reduction subsidies" paid to insurers to reduce the bills for low-income people. Trump has referred to these sorts of subsidies as a sort of "bailout" for struggling insurers. Murray says that's wildly inaccurate. "I think it's really unfortunate that the president has played politics with words like that," Murray says. "It's really a subsidy for those sicker patients." Both Alexander and Murray argue that losing the cost-sharing reduction subsidies would hurt low-income Americans. There are other health care reform ideas floating out there, like using "auto-enrollment," instead of an individual mandate, to ensure there are enough young and healthy patients paying for insurance to compensate for older and sicker patients. Murray is open to considering these ideas. She's also supportive of talking about a single-payer-style "Medicare for All" program. These are the sorts of things that could be discussed in these committee hearings. "As President Trump said, health care isn't easy," Murray says. "This is not going to be simple. It's going to be hard. We're going to have to listen, we're going to have to compromise." "As President Trump said, health care isn't easy. This is not going to be simple. It's going to be hard." I also had a chance to ask Murray about her vote to confirm Christopher Wray as Trump's new FBI director. "I had the opportunity to sit down and speak with Christopher Wray," Murray says. "To look him in the eye, to make sure he was going to be an independent voice as the head of the FBI — which we really need right now: Somebody who can be tough and say to President Trump, if he should try to interfere, that he cannot do that. And that was the confidence I had in voting for him." In Spokane, liberal activists have been pounding Republican Rep. Cathy McMorris Rodgers for not holding an in-person town hall meeting. But Washington's Democratic senators, Murray and Maria Cantwell, have also traditionally shunned town-hall meetings. While Cantwell had several town-hall meetings on the westside in July, Murray still hasn't held one. Asked about when she plans to hold a town hall, she declined to commit to holding one. She has a similar position to McMorris Rodgers, believing there are other, more effective, ways to speak with constituents than a raucous town hall meeting. "I have been here working extremely hard," Murray says. "When I've been home, I've been meeting with and talking with other stakeholders, taking in hundreds of thousands of calls and emails and input, trying to use that to the best of my ability to hear from many people."